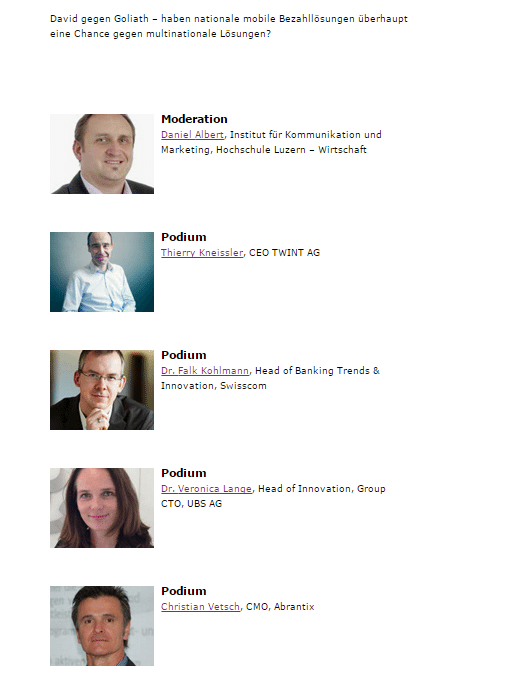 IFZ FinTech Forum - Gibt es die Bank von morgen schon heute? Die Hochschule Luzern lädt am Mittwoch, 3. 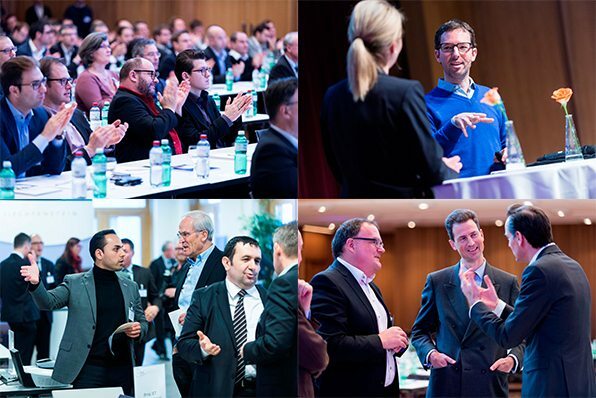 Februar 2016, zur 4th Swiss Digital Finance Conference. Wir bieten eine spannende Mischung an innovativen Ideen und Lösungen für digitale Finanzdienstleistungen. Themen wie Digitale Disruption, Digitale Transformation, Blockchain für gestandene und neue Player sowie eine spannende Podiumsdiskussion über die Chancen der Schweizer Mobile Payment Lösungen im internationalen Umfeld werden präsentiert und besprochen. Das detaillierte Programm und die aktuellsten Informationen finden Sie auf hslu.ch/sdfc. Die Konferenz findet von 9.15 bis 17.30 Uhr im Hans-Lütolf-Auditorium der Hochschule Luzern – Wirtschaft, Zentralstrasse 9, in Luzern statt. 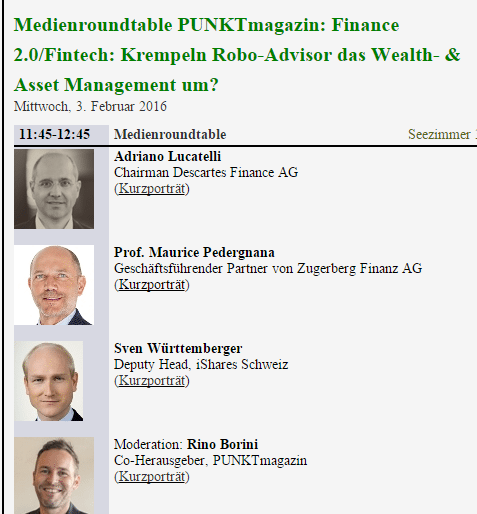 Finance 2.0/Fintech: Krempeln Robo-Advisor das Wealth- & Asset Management um? Mehr Infos zur Fondsmesse hier. More Information here. Get 50% Discount on LastMinute Tickets with Code "Fintech05"
In panel discussions and live interviews chaIlenges in IT innovation, investments and international expansion will be addressed. Robo Advice: Hat die klassische Kundenberatung ausgedient? 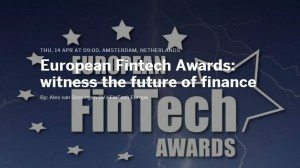 European Fintech Awards (10% Discount Code "Fintechnews)"
Join the European FinTech Awards and Conference where innovative and disruptive FinTech companies are awarded. Meet 400 hand picked entrepreneurs, bankers, investors and advisors, extend your network and develop business. Join the festive award ceremony on 14 April 2016 at the ABN AMRO Headoffice in Amsterdam. Sign up for the European FinTech Conference featuring international keynote speakers, thought provoking panels discussions and pitches by the European FinTech 100. Get your Tickets with 10% Discount here. Use Code "Fintechnews"
Taylor Gerring, Ethereum's Director of Technology, will speak about the "Future of Ethereum" at our meetup. Lykke builds a global marketplace for all asset classes and instruments. 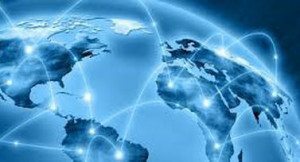 The marketplace builds on top of blockchain and is designed to accommodate different blockchain technologies. In the case of Bitcoin issuers use the open asset protocol to create digital coins that are financial securities representing currencies, equities, commodities or any other type of 'I_Owe_You'. The exchange has a new type of matching engine that uses price, spread and time to queue Limit orders. Our goal is to build an efficient market and establish human right of direct access to a fair marketplace. The digitization of the economy is extensive, the consequences for companies and industries often revolutionary and existential in nature. The speed of innovations and concepts is so breathtaking that startups immediately begin to vie with large corporations for markets. The challenge for business leaders is to remain oriented and focused in a process of change that constantly demands new ways of thinking, new rules, new partners and an increased willingness to actively embrace change. The DIGITAL ECONOMIC FORUM (DEF) is a platform which brings together new trends, standards and the people behind them, independently of industries and sectors. The focus of the Digital Economic Forum is on the entire potential of digital technologies, the developments in politics, security and compliance and the requirements for cross-border information exchange and value creation. Oliver Stoldt, innovative event professional with a global network – is behind the Digital Economic Forum. The DEF is organised under the lead management of Premium Conferences GmbH. Swiss FINTECH #23: How to solve Financial data symbology challenge? April 26 - Inessa Collier, Bloomberg, Head of coordination foropenfigi.com London will come to Geneva to introduce us withBloomberg Open Figi - financial instrument global identifier. Do you find it hard to spot ISIN? Security asset class? Ticker? Data consistency? Well Openfigi is the beginning of the solution you are looking for and Inessa will explain us how this Free API can be used to enhance and clean your databases. 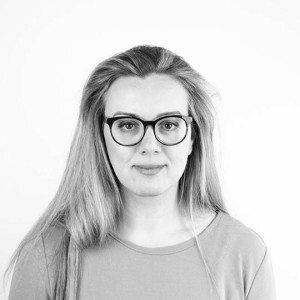 Inessa is the head of platform adoption, working with Bloomberg for many years, ex Goldman Sachs, ex Oxford Business school and Tampa University. She is an outstanding speaker of financial services community. When : April 26 - 6.00 pm - SHARP. Please be on time. Bitcoin does not scale, because its synchronization mechanism, the blockchain, limits the maximum rate of transactions the network can process. However, using off-blockchain transactions it is possible to create long-lived channels over which an arbitrary number of transfers can be processed locally between two users, without any burden to the Bitcoin network. These channels may form a network of payment service providers (PSPs). Payments can be routed between any two users in real time, without any confirmation delay. 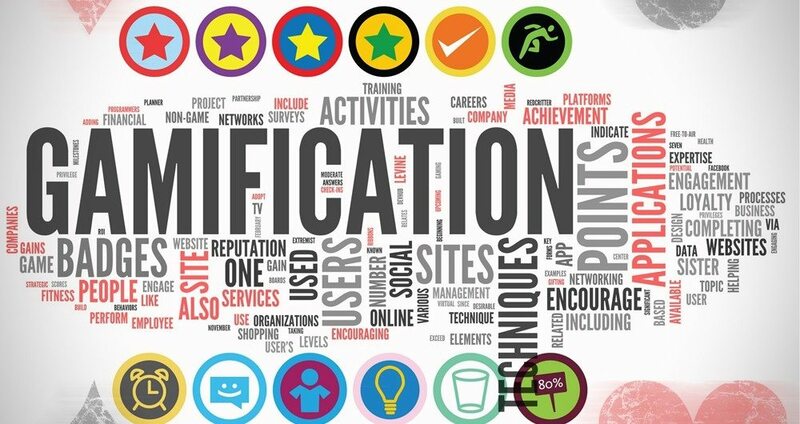 Gamification in financial services means the application of game-design elements and game principles in the banking and insurance context. While paying and investing money is definitely “not a game”, there is actually a lot we can learn from game-designing and approaches used in the multi-billion game industry. And gamification is happening also in Switzerland! So join us for a definitely engaging and interesting discussion around how gamification can help us reach the next level in Swiss Fintech. Matthias Sala is founder and CEO of gbanga.com, a Swiss game studio that focuses on the development of mixed-reality games. That means games that analyse the player’s current situation such as location, local weather and friends nearby to deliver a game experience that is more fun. Patrick Kramer is Executive Director at UBS and Head Strategy & Service Management at Group Marketing & Communications Services. Patrick had the project lead on launching UBS’ application “Quiz & Fly”. Iryna Nosan is a graduate of the University of Applied Sciences Northwestern Switzerland FHNW and wrote her Master’s Thesis on “Gamification in the Financial Industry”, interviewing Executives and Gamification Experts around Switzerland. She will present her findings exclusively for the first time at our meetup. The fintech & digitization industry is prosperous and growing, and has already successfully managed the transiton from hype to a lasting future-oriented trend. However, world’s leading finance hub Switzerland still has got a lot to learn when it comes to innovation, digitization, disruption – in one word fintech! Swiss Finance Startups and partners have accomplished a major milestone by putting Swiss fintech & digitization on the agenda of top level politics and bringing together with the Swiss Bankers Association the industry leaders, in Switzerland’s first official Fintech & Digitization Day. FinTechs – Neue innovative Player im Finanzbereich: Gefahr oder Bereicherung? Fluch oder Segen? On the 17th of May Richard Olsen, Lykke founder and CEO, will give a talk From the Blockchain to a Global Comprehensive Marketplace. His discussant will be Matthias Niklowitz, an e-foresight analyst in Swisscom, computer scientist and business journalist. Venez découvrir une technologie en train de révolutionner nos échanges de tous les jours. Alexis Roussel sera là pour vous expliquer ce qu'est le Blockchain, ainsi que pour vos présentez le Bitcoin et l'Ethereum. Après la conférence, nous nous déplacerons au Café L'Imprévu pour échanger bières et idées. Alexis Roussel est le co-fondateur de Bity, une entreprise pionnière dans le Bitcoin et Ethereum en Suisse. Start-up Alley - new ideas and new offers. The most unexpected and interesting solutions that will touch your feelings! This Ethereum-focused workshop will familiarize developers, software architects and technical decision makers with principles of blockchains and smart contracts. 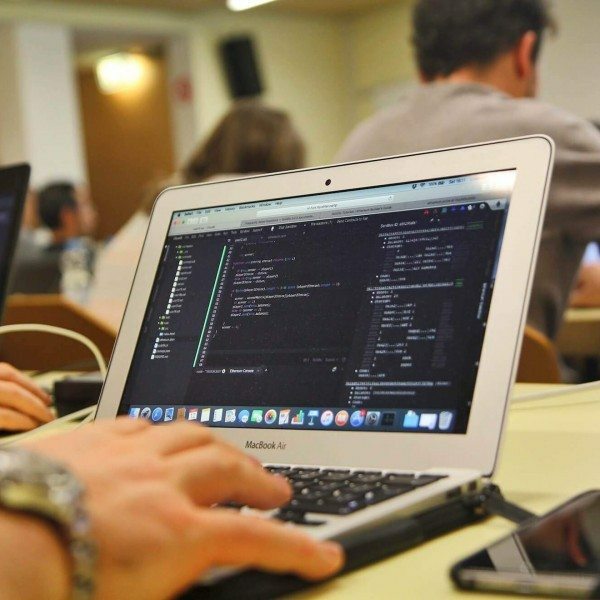 Hands-on programming sessions, using the language Solidity, guide participants through the smart contract development cycle. Submerge yourself in the world of crowdfunding, together with over 900 entrepreneurs, financial professionals, funders and the crowdfunding industry. Gather al the knowledge, tools and contacts you, or your costumers need, to start a crowdfunding adventure! 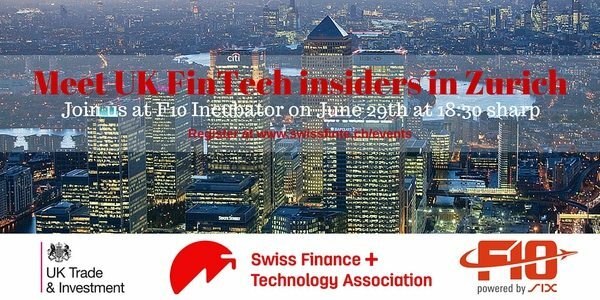 Special offer for Fintech News Switzerland audience: register now with code "FINTECHNEWS50" to get 50% discount! 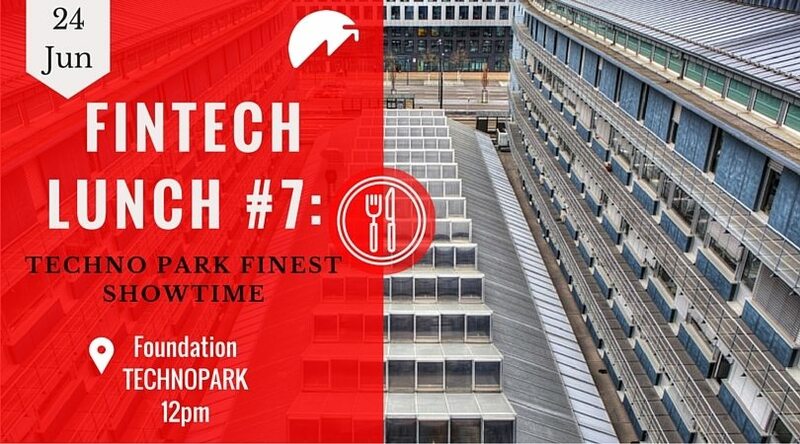 FinTechStage is a conference with an unconventional format that brings together a unique network of innovators, aiming to driving entrepreneurship and investment in Fintech. For the first time, Holland FinTech & FinTechStage join forces to gather the full European Fintech community in Amsterdam during the StartupFest. 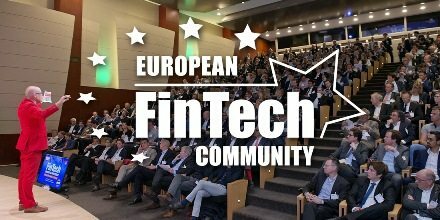 Meet on 26 May FinTech enthusiasts and listen to pitches of several winners of the European FinTech Awards and meet leading FinTech companies at the expo. Attendance is free of charge. This year’s Israel Innovation Effect conference will be hosted by UBS in Zurich, offering a unique opportunity to meet with some of the most innovative Israeli companies from the Fintech and Cyber Security scenes. Swiss FINTECH #24 - How Blockchain is going to change FINTECH and more? Outsmarted by smart contracts? A promising concept and its current limitations. How Blockchain can be used for Real Time Equities Settlement? Learn from the best and take a dive in the tech world behind a hype word. When : June 1st - 6.00 pm - SHARP. Please be on time. This block Event will be followed by a dinner at La Barca Italian restaurant. Behavioral Economics & Payment Industry - Wie werden wir in Zukunft bezahlen? Unterschiedliche Vortragende aus Wissenschaft und Praxis stellen ihre neuesten Forschungsergebnisse und Erfahrungenim Zusammenhang mit Behavioral Economics vor, danach gibt es Diskussionen und Austausch zwischen allen Teilnehmern. FehrAdvice sponsort gemeinsam mit Matter Gretener Lesch Communications und additiv die Location, kleine Snacks und Getränke (Wein, Bier, Unalkoholisches). Bei Fragen sind wir jederzeit unter[masked] oder [masked] erreichbar. Join us for Blockchain Conference Dublin. We've been organising The Blockchain Conference in multiple cities including London, New York, Hong Kong and San Francisco. Now we're bringing the Blockchain Conference to Dublin. If you're interested in learning more about how blockchain (distributed ledger) technology is disrupting traditional models of financial services and other industries, you should join us. 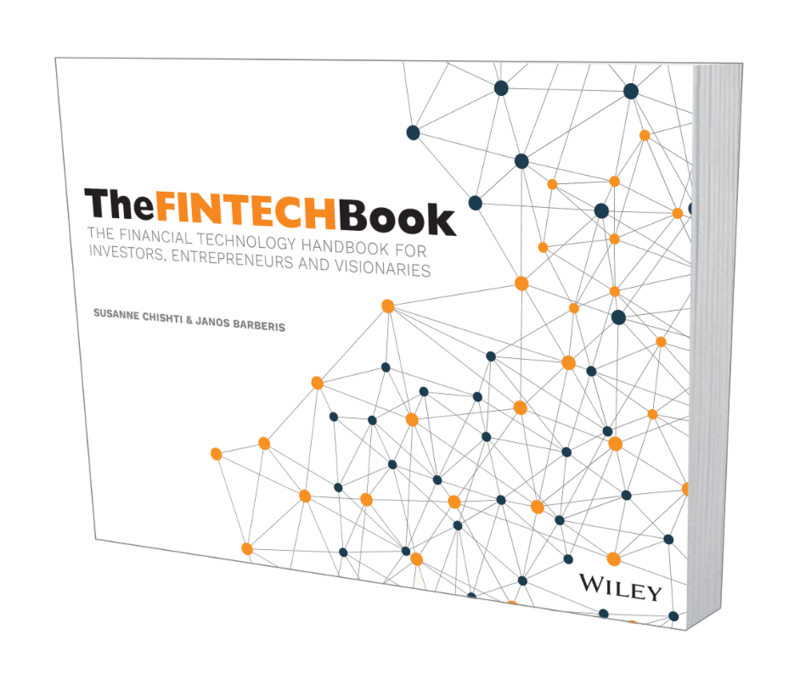 Learn about the Global Fintech Sector, meet the FINTECH Book Authors based in Switzerland and get your signed copy of this new Bestseller! 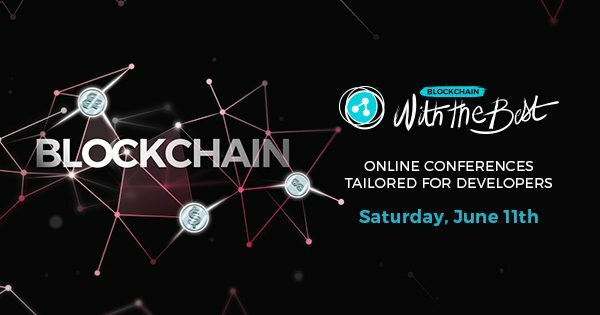 Don't miss out on Amsterdam’s premiere Blockchain event. Things kick off on June 9th with The Blockchain Conference. Hear first hand from the people that are creating the future. Expect inspiration, talks, panels, demos and plenty of time to engage with attendees and speakers. We’ve run the Blockchain Conference in London, New York, Hong Kong, San Francisco and now we’re bringing it home to Amsterdam. and check out more on our website. Every speaker will have a 30-minute tech talk, followed by a 20-minute Q&A for your questions. This year’s theme — Rising to the Challenge — speaks to the massive sea change impacting the ETF industry, advisors and institutions putting ETFs to work in their portfolios. You will walk away from Inside ETFs Europe with a detailed understanding of how ETFs work and how you can use them - immediately - to generate strong risk-adjusted returns. Case studies are utilized to exemplify economic relevance as well as chances and risks. Regulation & Tax: Dr. Alexander Lindemann. Moderation: Raoul Würgler. In the end of the seminar, there is the opportunity of individual 1:1 Sessions with Dr. Paolo Tasca & Prof. Tomaso Aste to discuss your questions confidentially. The 6th edition of our ‘DrinkUp’ will be a closed-door event and take place on Tuesday June 16, 2016 from 06:00 p.m. @ our nexuslab Pop-Up LAB, Fraumuensterstrasse 16, 8001 Zurich. The key-note speech: "Blockchain controversies: PoW waste and the private blockchain oxymoron“ will start at 06:30 pm. Our guest speaker that night will be Roger Wirth. Roger holds a degree in Information Technology and functions currently as a Managing Director at UBS. He has been with the company for more than 9 years in various positions. Prior to heading UBS’s IT Security Services for three years, Roger started as Head of Engagement Mgmt & IT Compliance. Currently Roger is Head of Information Security – Wealth Management. Before joining UBS Roger was Head of Java Professional Solutions at trivadis. The organisers of London Fintech Week bring you the 2nd Annual Fincoder, a conference tailored especially for Fintech technologist, developers and coders. Fintech developers are changing the face of the financial services industry. From enterprise to start-up and everything in between. Join us at Aviva's Digital Garage in Hoxton on June 20th 2016. This event is part of London Tech Week. Taking place in Madrid and now in its second year, MoneyConf is an invite-only event focused on the future of finance. It comes to you from the people behind Web Summit, the world’s fastest growing technology event. In 2016, we’re bringing together 1,500 decision makers from across the industry spectrum, including over 100 exhibiting startups looking to transform the industry. Amid unparalleled networking opportunities, attendees will have access to almost 30 hours of content across two days. Expect to hear inspirational keynotes, insightful fireside chats and thought-provoking panel discussions from key players redefining financial services as we know it. This talk describes BigchainDB. 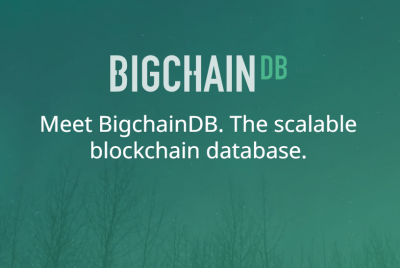 BigchainDB fills a gap in the decentralization ecosystem: a decentralized database, at scale. It has big-data performance levels, a rich querying system, and a permissioning system that supports public and private deployment. It's complementary to decentralized processing platforms like Ethereum, and decentralized file systems like IPFS. Bereits zum dritten Mal organisiert das IFZ die Konferenz, Innovative Angebote im Retail Banking“. Die Teilnehmenden diskutieren am Nachmittag des 23. Juni 2016 über Themen, welche die Retail Banken heute und in naher Zukunft beschäftigen. Dazu gehören Fragen, wie die Digitalisierung erfolgreich im Firmenkundenbereich eingesetzt werden kann, wie innovative Filialen der Zukunft aussehen, wie Banken „soziale Netzwerke“ aufbauen und einsetzen, wie der Online-Onboarding Prozess umgesetzt werden kann und wie Analytics helfen, mehr über den Kunden herauszufinden. "The DAO" is the first truly "decentralized venture fund". It is based on the Ethereum blockchain, with backers who are potentially anonymous and distributed globally across many jurisdictions. The anonymous (or pseudonymous) participation of individuals distributed globally opens up a multitude of interesting questions when it comes to distributing the income of the DAO and the use of the funds by DAO projects from a legal and tax perspective. 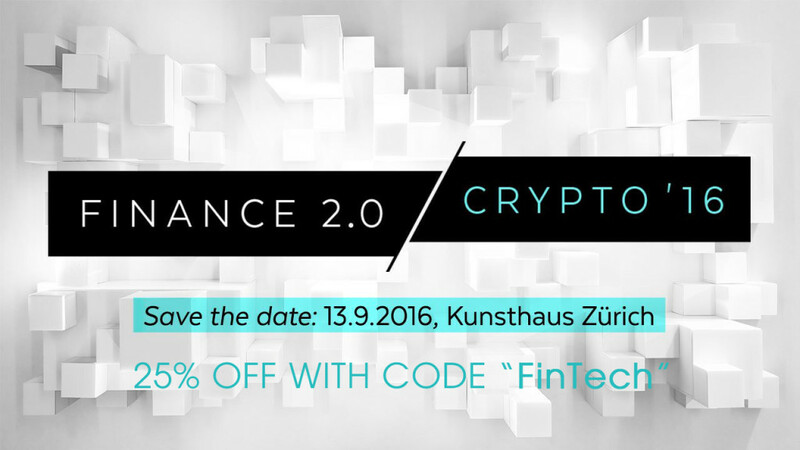 Exclusive offer for Fintech News Switzerland audience: SIGN UP NOW with code "fintech16" to get 15% off! Money-Tech features 20 international digital payment and finance technology company pitches and offers 1on1 meetings. Innovations presented will include digital currencies, mobile banking, peer-to-peer financing (crowdlending, crowdfunding), crypto finance, new trends insurance tech, robo advisors, among many others. Speakers will include academics and executives from fintech startups and financial services firm including Roland Berger, Ascribe, the Ethereum Foundation, Nexussquared, Wikifolio, Crowdhouse, and more. FT Future of Insurance will bring together thought leaders and senior figures from within the industry in the UK to assess these challenges and discuss the best strategies to thrive in what has become the world’s most regulated insurance market. Am 28. Juni 2016 findet in Bern zum dritten Mal das Swiss International Finance Forum unter dem Motto «Back to Growth» statt. Rund 25 Top-Speaker wie der amerikanische Star-Ökonom Kenneth Rogoff präsentieren aktuelle Einschätzungen zur Finanzindustrie. Die Experten zeigen auf, wie in der angespannten Weltwirtschaft neue Geschäftsmodelle entwickelt und Wachstumspotenziale genutzt werden können. Besondere Beachtung findet der Fintech-Sektor, der als wichtiger Treiber der Wettbewerbsfähigkeit die Branche verändern kann. Die NZZ Konferenzen & Services als Veranstalter sind stolz, den 350 Entscheidungsträgern aus Wirtschaft, Politik und Aufsichtsbehörden ein abwechslungsreiches Programm mit sorgfältig ausgewählten Referentinnen und Referenten zu bieten. 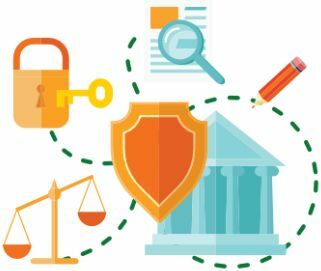 Regulation around digital signature is evolving. With recent FINMA regulation on digital signature, the CDB 2016 recognizes a digital signature provided by official digital identity provider as “valid” as a copy of signature provided by notary. What is more, in March 2016, FINMA authorized the Bank to identify clients using video channels. Three experts will talk about regaulation, application of Digital Signature and automation of the documentation workflow. WealthTECH - powering a new era for the asset and wealth management industry: The world of wealth management, is undergoing unprecedented change. Wealth and asset managers as well as private bankers are needing to respond to pressure from a multitude of sources - regulation, cost pressure, changing customer preferences and shifting demographics. The Future of Digital Banking will bring together 200+ bankers from across the globe to discuss the key issues shaping the industry in this era of digital innovation. 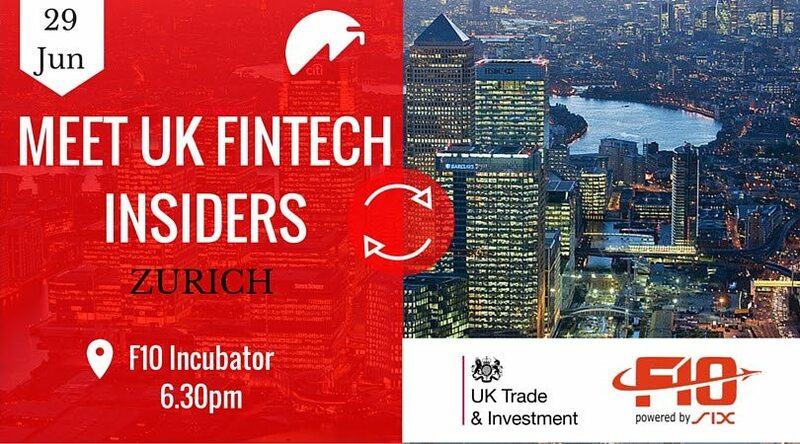 As part of the second annual UKTI Swiss FinTech Mission, we are pleased to offer an exclusive opportunity for networking between FinTech insiders from the UK and Switzerland. The event is intended to build connections between the two leading financial centres and FinTech ecosystems. Those participating include entrepreneurs, financial professionals, investors, financial industry insiders, and accelerators. 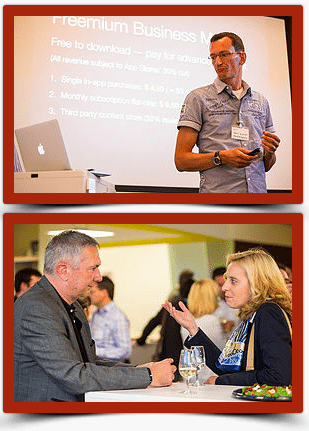 Please join us for insightful presentations and lively networking apéro. Reserve your place today. UKTI Fintech Roadshow - Networking is about 20 UK fintech entrepreneurs and investors are discovering Switzerland and stopping by at FUSION on Thursday evening. This is an interesting occasion to mingle and network with fintech entrepreneurs transforming UK... and why not, discovering new business opportunities? Von Herbert Bucheli, Head of Business Analytics Services of VISECA Card Services SA (Aduno Group) will speak about the use of data in the payments industry. The Zurich Behavioral Economics Network meetup is held at the restaurant Linde Oberstrass on the first Monday of each month. 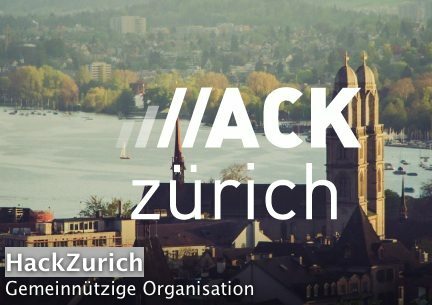 Registered as an association, the Zurich Behavioral Economics Network aims to serve as a platform for the exchange between science and practice. We would like to invite you to "Save-the-Date" for the 'nexuslab festival' in Zurich on July 7, 2016 from 1pm onwards. That afternoon, our pilot cohort of blockchain start-ups from all over Europe will present their business ideas to potential investors, corporate representatives, mentors, press and the general public. Apart from the start-up pitches itself, we will have blockchain expert key notes followed by an opportunity to network with all the start-ups and speakers. Please RSVP your interest by clicking on the following link so we can send you more information on the programme and location details in due course. Feel free to forward this invitation to anybody that might be interested to participate at the nexuslab festival. 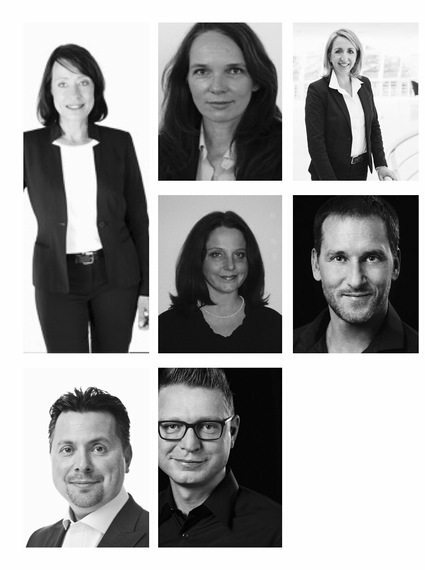 We are looking forward to welcoming you on July 7 in downtown Zurich. Swiss FINTECH #25 - Networking and Swimming perhaps ! July 12th - It's summer time! 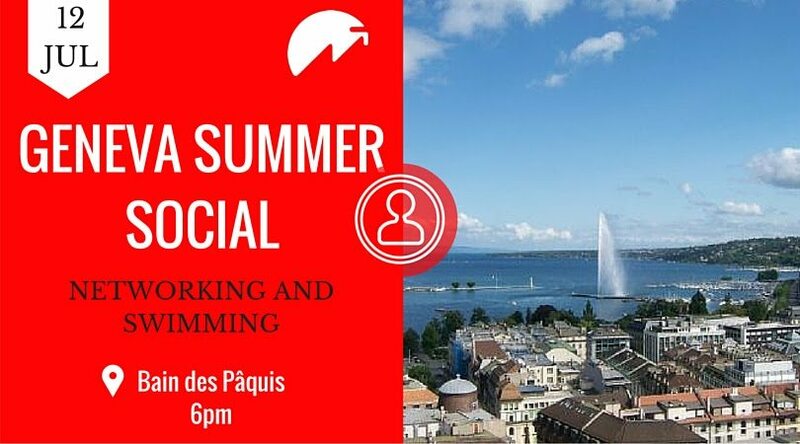 We have the pleasure to organise a very casual networking meetup at Bain des Pâquis. When : July 12th - from 6.00 pm. Where : Bain des Pâquis - Geneva. It is becoming an annual tradition that we meet for drinks at Frau Gerolds Garten - please join us for the third edition! Most importantly, this is an opportunity to connect and socialize with others in the group. We will also take the opportunity to give members their official 2016 member lapel pin. Members, in addition to receiving SwissFinTech pins, are treated to one drink - we will buy your second drink if you bring a potential new member signing up . Join us for an evening of presentations on Python, R and F# by leading fintech experts and stay for apero afterwards. This event is being held in collaboration with AdNovum at their offices. Below are details on topics and abstracts. This talk illustrates how Python in combination with the pandas library makes financial time series analysis efficient, fast and fun. In addition, it illustrates how easy Python interacts with R to access its more advanced statistical capabilities. All examples are based on an interactive Jupyter Notebook in which both the Python and R codes are executed. Dr. Yves J. Hilpisch is founder and managing partner of The Python Quants (http://tpq.io), a group focusing on the use of open source technologies for financial data science, algorithmic trading and computational finance. He is the author of the books "Python for Finance" (O'Reilly, 2014), "Derivatives Analytics with Python" (Wiley, 2015) and "Listed Volatility and Variance Derivatives" (Wiley, forthcoming). Yves lectures on computational finance at the CQF Program (http://cqf.com) as well as on data science at htw saar (http://htwsaar.de). He has written the financial analytics library DX Analytics (http://dx-analytics.com) and organizes meetups and conferences about Python for quantitative finance in Frankfurt, London and New York. Dr. Daniel Egloff is partner of InCube Group and Managing Director of QuantAlea, a Swiss software engineering company specialized in GPU software development. He studied mathematics, theoretical physics and computer science and worked for almost 20 years as a quant and software architect. While Excel offers an intuitive user interface, it has many deficiencies, VBA just being one of them. xlwings is an open-source library which allows to write Excel automation scripts, macros and user defined functions with Python instead of VBA. This talk gives a rundown of what xlwings can offer and how it can greatly enhance speed and reliability of spreadsheet models by relying on the Python ecosystem for numerical computing. Felix is founding partner of Zoomer Analytics GmbH, a Zürich based consultancy for financial apps and the company behind xlwings. Before that, he was a director at UBS Global Asset Management where he was responsible for building an in-house system to analyze and optimize the strategic asset allocation of institutional and private clients. He holds a Master’s degree in Finance and Economics from the University of St.Gallen and is a CFA charterholder. Special Offer: Sign up now with code FTSW to get 15% off! A Special Blockchain Meetup as Arthur Breitman is in town. Our friends over at Monetas pointed it out and offer to host this event at their offices in Zug. The presentation is open to the public. Light refreshment will be provided, so if you plan to attend please RSVP by Tuesday, August 30. Das IFZ organisiert zusammen mit Partnern aus der FinTech-Industrie kostenlose Abendveranstaltungen, an denen aktuelle Themen rund um FinTech vorgestellt, diskutiert und Netzwerke gepflegt werden. Im Anschluss an die Veranstaltungen findet ein Networking-Apéro statt. How are innovations valued in large, successful organizations and at universities? Where do get innovative entrepreneurs and experts their ideas and insights from? Do women need promotions in business? What’s special about their situation today? How can innovative start-ups help the financial sector to change/transform? How can innovative start-ups become successful? The questions above and more will be answered in our next, non-profit-oriented educational conference in Zurich. 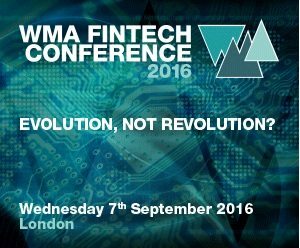 WMA Fintech Conference 2016: Evolution, Not Revolution? The WMA is pleased to announce the inaugural WMA Fintech Conference which is scheduled for Wednesday 7th September 2016 in conjunction with KPMG. Our Fintech Conference is a one-day event which will provide attendees with a platform to discuss the advantages and potential risks of bringing technology and the Wealth Management industry closer together. Our aim is to encourage firms to review new technology and reflect on ways in which they can adapt their businesses for the benefit of their firms and clients. If you are able to impress AXA's innovation team with your application, we will invite you as one of five start-ups to the big Zero Gravity Pitch Event on September 8 in Winterthur. AXA and the winning start-up will then develop a proof of concept or pilot by the end of 2016, which AXA will co-finance with up to CHF 30'000. If this is a success, nothing will stand in the way of a lasting strategic partnership with AXA. Moreover, there is also the possibility of a financial participation through AXA Strategic Ventures. In partnership with the EU Commission, the country Styria, WKO Steiermark, the city of Graz will be the second hosting city to gather THE European Crowd experts. All driven by a common goal: enabling the crowd for a greater good. Stakeholder from all 28 European member states represented by dedicated Country Patrons will gather to discuss diverse scenarios of crowd-disruption from the fields of practitioners, academia and politics. 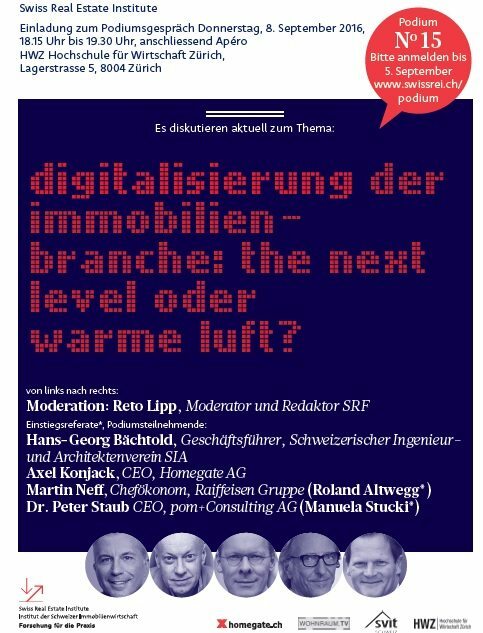 Digitalisierung der Immobilienbranche: The Next Level oder warme Luft? Dieser Frage möchten wir mit den Einstiegsreferaten und der anschliessenden Podiumsdiskussion unter der Moderation von Reto Lipp (SRF) nachgehen. Die Podiumsteilnehmer, namhafte Persönlichkeiten aus der Immobilienbranche, werden in der Beilage vorgestellt. Aufgrund des „save-the-date“ E-Mails haben sich bereits zahlreiche Teilnehmerinnen und Teilnehmer angemeldet. Somit sind nur noch einige wenige Plätze frei. Bitte melden Sie sich unter www.swissrei.ch an. Das Problem mit der neuen Anmeldungssoftware haben wir zwischenzeitlich gelöst. 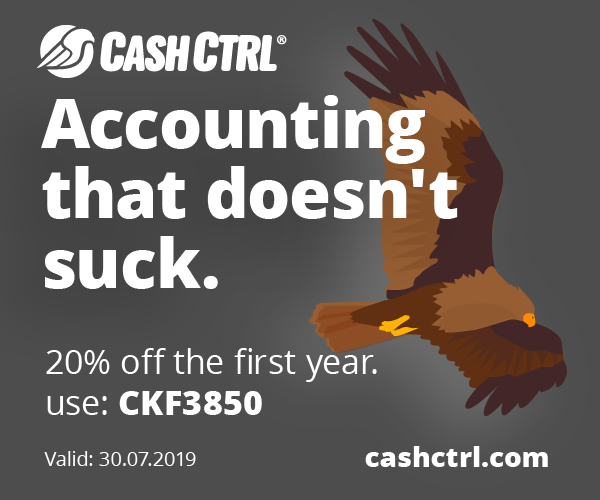 Special Offer: Sign up now with code "FinTech" to get 25% discount! The cryptocurrency «Bitcoin» generated a lot of positive and negative headlines in the media. With our conference we are kicking off the discussion on which are the long-term capabilities of digital currencies and what will be the impact ? Blockchain, the fundamental technology behind it, is arguably the most disruptive and the most important discoveries of our age. Now Blockchain is ready to go mainstream. How can this technology improve existing processes? And what are the most interesting use cases of blockchain? What are the impacts of Blockchain for other industries? 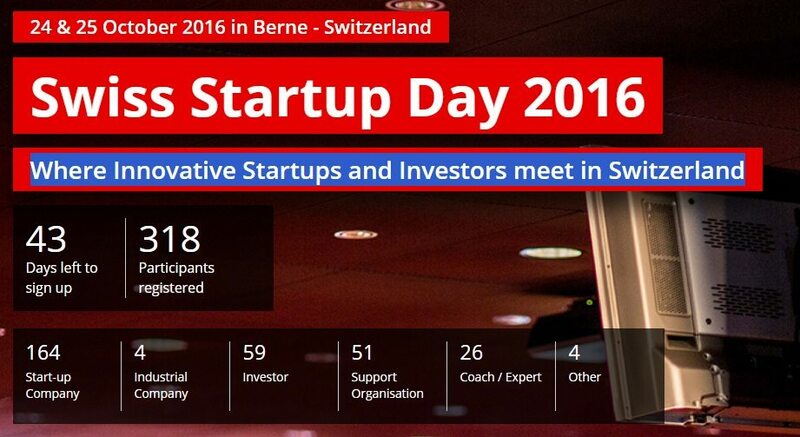 Possibly the largest startup event in Central Switzerland. The best of the best startups will present. We expect up to hundred investors and several hundred entrepreneurs, mentors, industry representatives and other innovation interested attendees. We are expecting investors from all over Switzerland, Germany, Austria, Italy and maybe other European countries. The startups we are going to present are some of the very best and we are organizing a well thought our investment process from selection, introduction, interviews, due diligence, valuation review and call to invest. Everybody supporting startups and the idea of entrepreneurial spirit, you should come to this exceptional event. Meet entrepreneurs, mentors, investors and possibly find a way to become an entrepreneur or investor, mentor or supporter. If you have something important to share it’s your time! 30 speakers will be selected. Join us after for an afterwork drink. La scène fintech commence à se structurer en Suisse et des changements de réglementation pourraient remettre en cause des pratiques existantes. Pour échanger autour de ces enjeux et de la gestion des risques, Innovaud organise le 14 septembre prochain une matinée dédiée à ces questions. L’objectif est d’offrir une vue d’ensemble des dangers et des opportunités autour de ces thématiques et de présenter des solutions de pointe développées en Suisse. Maxime Charbonnel, responsable du département multicanal de la BCV, interviendra notamment sur les enjeux de l’expérience utilisateur et Dominique Witz (Swisscom Banking) sur les nouvelles réglementations dans la fintech. Insider Threats Management – das müssen Sie wissen! Nehmen Sie an unserem Webinar teil und erfahren Sie von kompetenten Experten, wie Ihr Unternehmen Insider Attacken meistern kann. Dieses Webinar übermittelt CISOs (Chief Information Security Officers) und anderen Verantwortlichen für IT Security das Wissen, was der Begriff “Insider Threat” bedeutet und zeigt, wie Sie diese Attacken proaktiv ermitteln und effizient untersuchen. Des Weiteren sehen Sie, wie ObserveIT´s Partner IBV den Unternehmen hilft, «Böse Anwender» herauszufiltern. 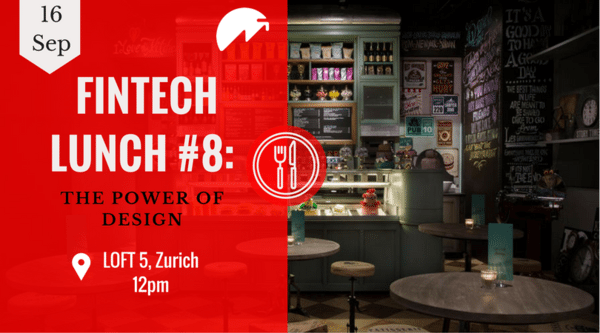 The objective of the FinTech lunch series is to bring together Swiss Finance + Technology Association members and interested people for networking but also to provide a forum for discussion of a dedicated topic. The topic this time is "The Power of Design" for which we have secured two exciting speakers: Angela Dannhorn and Alan Cabello. September 16-18, 2016 in Zurich. Europe's largest Hackathon is back. 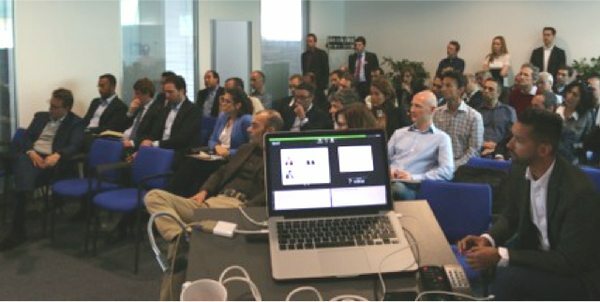 The Swiss ICT Investor Club organizes the SICTIC Investor Day in Zürich and Lausanne up to five times a year. Startups apply with their business plan for a pitch slot at the event and a jury selects the the most promising ones for each event. Successful startups like GetYourGuide, Spontacts (exit to Scout24) or TrekkSoft Ltd. have pitched in the past. The “Swiss Startup Summit” is a campaign / roadshow of 5 months in the Swiss startup ecosystem, which includes all key players on a national level. The campaign is produced especially in events and via digital media. Included in the multi-event concept are cantonal economic promoters / location marketers, startup incubators, universities / colleges, technology centers, investors, media, corporates/companies, services – and startups. 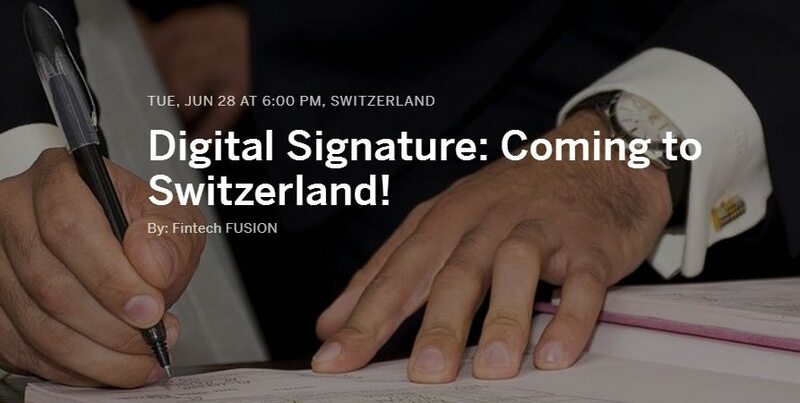 The campaign is developed nationally, globally marketed (digital) and culminates as highlight on the 22nd September 2016 in the Swiss Startup Summit, a multi-event-day-happening where the entire startup ecosystem meets in a multilingual region under one roof. Goal and purpose is networking, the approach of business and relationships, as well as promoting the economic location of Switzerland – nationally and beyond borders! 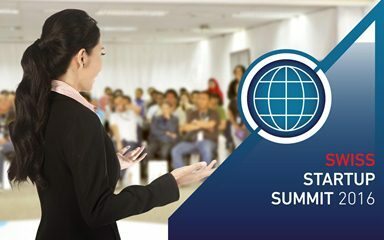 The Swiss Startup Summit is a integrated and political neutral platform, which provides a stage for all participants in the Swiss startup ecosystem to present their topics to a broad public. 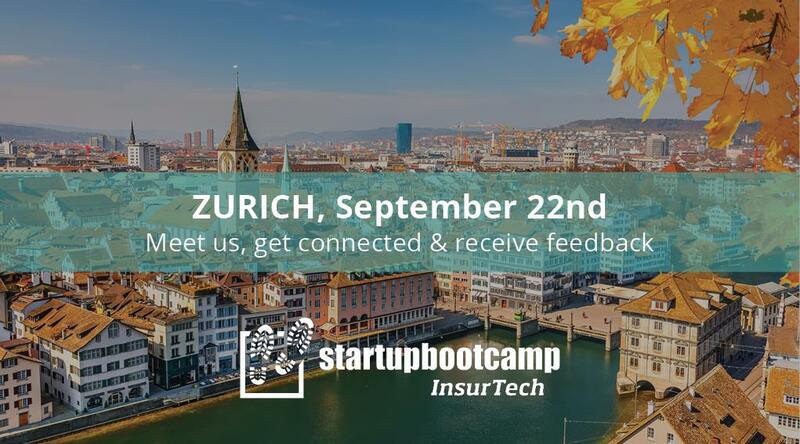 On the 22th of September, Startupbootcamp InsurTech welcomes you to Zurich for a FastTrack day as part of its international tour to support the best talent in InsurTech. 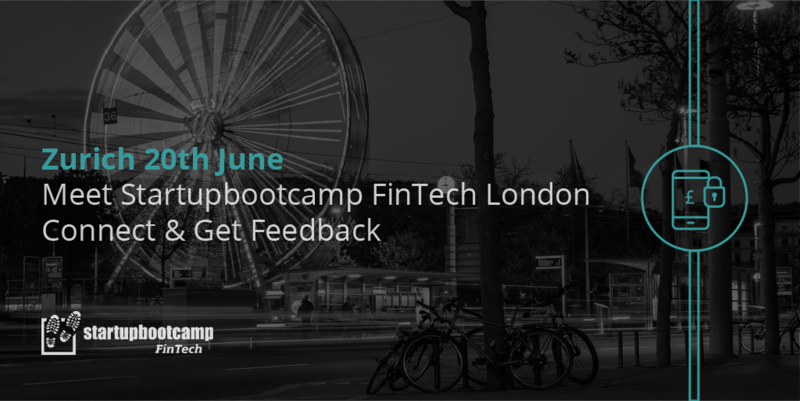 The 10 most promising startups selected from all applications will be invited to pitch their innovative ideas to the Startupbootcamp team and fellow entrepreneurs, get one-on-one mentor feedback, and learn more about our London-based InsurTech accelerator program. On the 22nd of September, Startupbootcamp InsurTech welcomes you to Zurich for Startupbootcamp Office Hours. Office Hours are an informal and casual opportunity for interested startups to meet with Jens Hartwig, COO of Startupbootcamp InsurTech, to discuss their ideas, product, and team, and to receive valuable feedback. • The DAO, what went wrong? • When to Hyperledger, Ethereum, or Bitcoin? Switzerland’s second largest city shines as one of Europe’s most beautiful destinations – and will provide an idyllic setting for Sibos. We are delighted to be returning to Geneva, following successful events in 1993 and 2002. Its favourable geographical location in the heart of Europe makes it a natural choice for an event that attracts over 7,000 guests from around the world. Die FinTech Konferenz Liechtenstein richtet sich an Marktteilnehmer des Finanzplatzes Liechtenstein sowie Entscheider und Interessierte aus der DACH-Region, mit dem Ziel, den regelmäßigen Austausch zu den Themen Innovation und Digitalisierung in der Finanzindustrie zu fördern. Dabei zielt der Verein FinTech (Liechtenstein) e.V. darauf ab, eine Plattform für den Austausch zwischen Akteuren des Finanzplatzes (im Fürstentum Liechtenstein) und innovativen FinTech Unternehmen zu schaffen um somit das Bewusstsein für das Themenfeld der Finanztechnologie zu erhöhen und den Finanzplatz Liechtenstein in Zeiten der Digitalisierung bestmöglich aufzustellen. Join our next nexussquared ‘DrinkUp' and meet Swiss and international blockchain aficionados in a casual environment. The 8th edition of our ‘DrinkUp’ will take place on Wednesday, September 28, 2016 from 6pm onwards @ LIMA Bar, Talacker 34 in Zurich. The 3rd Annual Insurance Analytics Europe Summit will bring together 200+ insurance executives from across Europe to explore both innovation in the insurance industry and uncover strategies to fully utilise the ever-increasing analytics capabilities available to insurers. Featuring over 60 speakers including AIG, Aviva, Zurich, Generali and more, there is no other European insurance event that explores both the future of the industry including cutting-edge technology and innovative trends, as well as providing practical strategies to best use analytics across the core insurance business units including underwriting, pricing, claims and marketing. Bringing together senior figures from all areas of the financial services sector, The Blockchain Summit will address the key questions in distributed ledger technology. From board-level strategic implications and best practices to the challenges of mass adoption, this blockchain conference will shed light on the next steps and long-term impacts of DLT developments in FS. Special offer: Sign up now with code FNS16VIP to get 15% discount! Where platforms and investors come to learn, network and do business. The 3rd annual LendIt Europe conference and expo will take place at the InterContinental London - O2. This year’s event will bring together more than 1,000 industry leaders and include the region's largest online lending expo with more than 2,500 square metres of exhibition space. 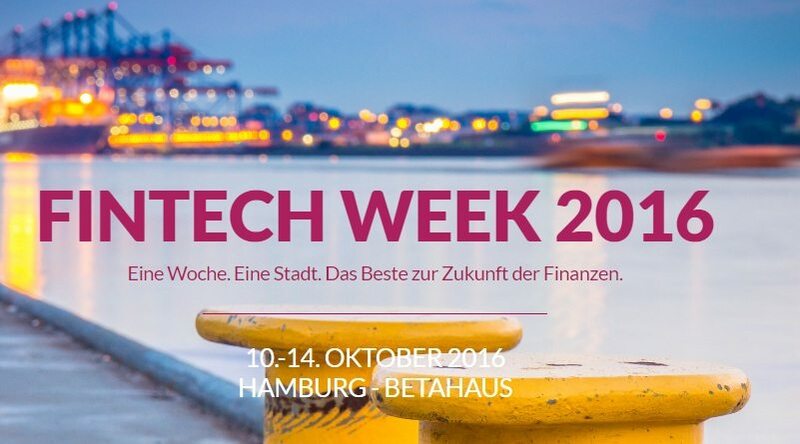 Bei der Fintech Week Hamburg 2016 treffen rund 2.000 Akteure aus der Fintech- und der Bankenbranche aufeinander, um eine Woche lang die zukunftsweisenden Trends und Konzepte zu diskutieren. Auf mehr als 20 Veranstaltungen vom Netzwerk-Frühstück über die klassische Konferenz bis zum Hackathon werden Themen vertieft, Lösungen entwickelt und Kontakte geknüpft. 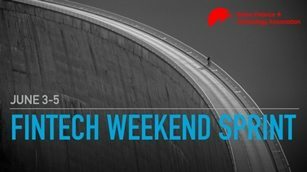 Mit Hamburg findet die Fintech Week 2016 an einem Ort statt, der sich mehr und mehr zu einem Hotspot der Branche entwickelt. Neben den etablierten Bankhäusern entstehen erfolgreiche Start-ups, die mit ihren neuartigen Lösungen Innovationstreiber in Deutschland und Europa sind. Die Event-Woche vereint das Beste, das die Stadt zu bieten hat, mit spannenden neuen Formaten und exklusiven Networking-Gelegenheiten! The decision of the UK to leave the European Union, has plunged the financial services industry into uncertainty. This will be the ‘mother of all change programmes’ and systems will need to be more flexible than previously required. Minimising uncertainty is the order of the day, it is time for industry wide discussion. Brexit apart, compliance spending for large multinational banks is regularly upwards of $1 billion and Citi Bank have 26,000 compliance staff earning on average $60,000 dollars. According to Schroders it’s only a matter of time before Shareholders begin to kick up a fuss about the cost of regulation. Innovation and disruption in finance is celebrated at the FinTech Africa Awards event 13 October 2016 in Johannesburg. Der Liechtensteiner Investitionsmarkt (LIM) findet am Mittwoch, 19. Oktober 2016, im SAL in Schaan statt. Die Tagung bringt bereits zum fünften Mal innovative Start-ups und KMU auf Kapitalsuche mit Investoren und hochkarätigen Entscheidungsträgern zusammen. Einer der Höhepunkte der Veranstaltung ist der Auftritt von Dr. Henri B. Meier. Er zählt zu den Schweizer Venture-Capital-Investoren der ersten Stunde und setzt sich für einen Zukunftsfonds zur Unterstützung von Start-ups ein. Ebenso hochkarätig sind die beiden Talkgäste - Entrepreneur Patrick Hilty (CEO und Partner Grant Thornton) und Philipp Ries (Google und Start-up-Coach). Im Zentrum des Anlasses stehen innovative und aufstrebende Start-ups oder bestehende Unternehmen auf Kapitalsuche, die Geldgeber für ihre neue Geschäftsidee suchen. Es erwartet Sie ein abwechslungsreicher Nachmittag mit neuen Impulsen und innovativen Ideen! Swiss startup Day brings together startups, investors, support organisations, representatives of industrial companies and like-minded people to learn, share, inspire and expand their network. This year the event will take place in two days from October 24th to October 25th. Registration is now open. Start-ups that want to take part in the Pitching Battle can apply for the Elevator Pitches where the companies will be selected. 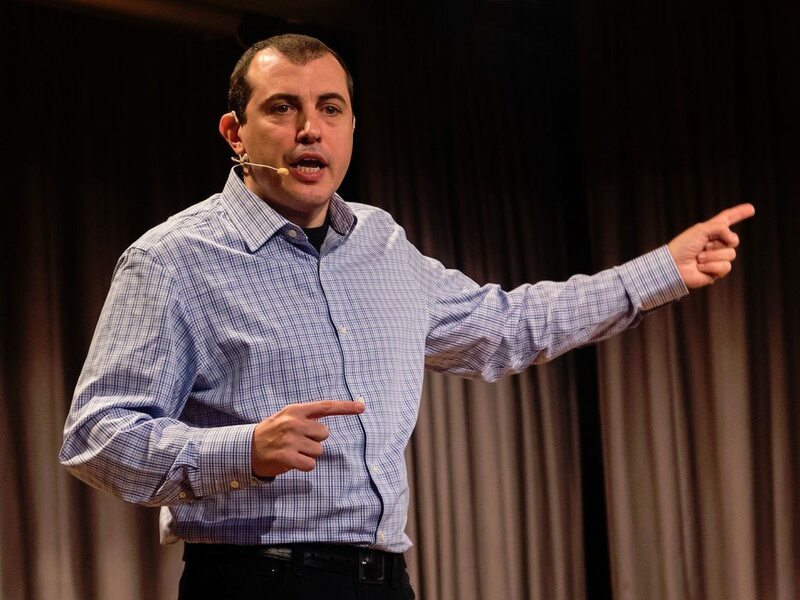 Andreas M. Antonopoulos is a technologist and serial entrepreneur who has become one of the most well-known and well-respected figures in bitcoin. He is the author of Mastering Bitcoin, published by O'Reilly Media and considered by many to be the best technical guide to bitcoin. 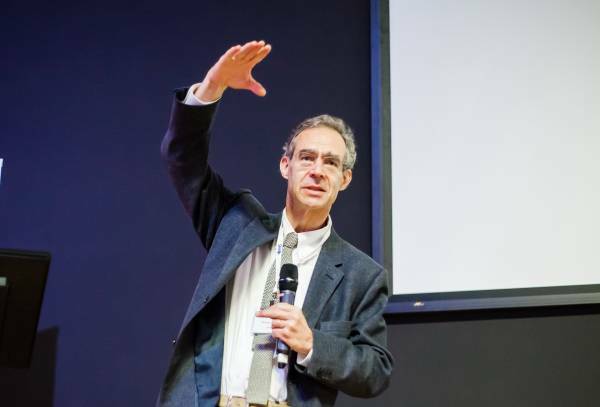 As an engaging public speaker, teacher and writer, Andreas makes complex subjects accessible and easy to understand. As an advisor, he helps startups recognize, evaluate, and navigate security and business risks. Fintech Europe will feature practitioner-oriented sessions across a broad spectrum of topics carefully chosen to meet the needs of those engaged in managing private wealth. The day has been designed to be interactive and participatory. Inspiring keynotes from industry thought leaders will be mixed with interactive panels and a series of roundtables where you get to discuss key issues with peers, all moderated by a Managers of Wealth expert collaborator. Marketforce’s 6th annual Cards & Payments Innovation Europe is a content-driven conference aimed at senior decision makers from across the continent. 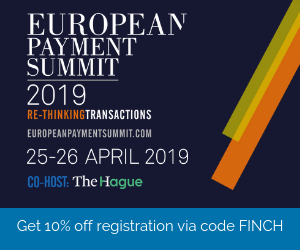 Join all the key members of the European payments ecosystem, including major banks, card schemes, payments processors and emerging challengers, to take an in-depth look at how your organisation can prepare for a successful future in this rapidly changing market. Innovationen im FinTech-Bereich haben in den letzten Jahren eine rasante Entwicklung in der Finanzindustrie ausgelöst. Aufgrund der Geschwindigkeit dieser Änderungen sind jedoch noch viele rechtliche Rahmenbedingungen offen. 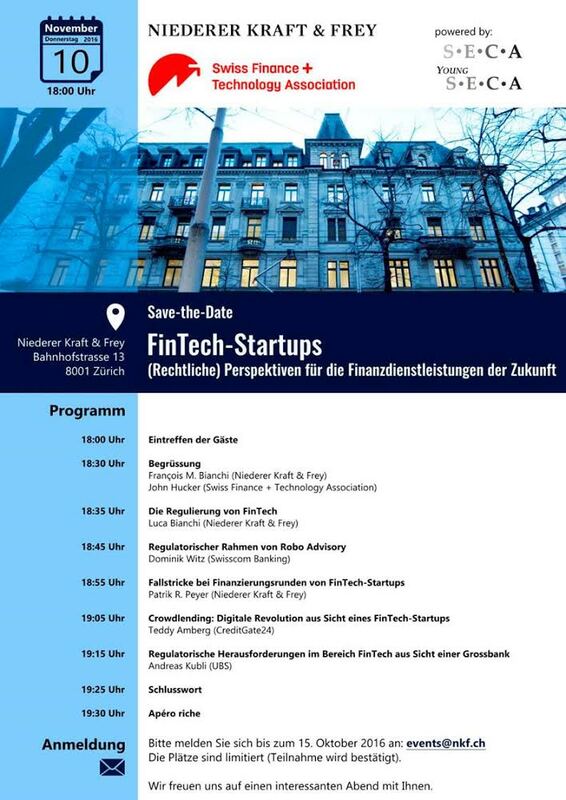 Niederer Kraft & Frey und die Swiss Finance + Technology Association organisieren einen gemeinsamen Anlass zum Thema „FinTech-Startups: (Rechtliche) Perspektiven für die Finanzdienstleistungen der Zukunft“. Join us at Customer Strategy Innovation Conference (CSIC) 2016, London, UK and meet our Keynote Speakers providing you with valuable insights to how to develop a customer driven strategy and enhance overall customer experience. If you are an investor or a business angel, this event is for you. Special Offer: Sign up now with code "FINTECH" to get 15% discount! Join Fintech News at the In|Vest Europe event, November 15, 2016 in London. In|Vest Europe brings the wealth management industry together to explore the latest innovations in investing, saving and financial advice. Join hundreds of executives representing digital platforms private banks, investment advisers and technology leaders. Use promo code FINTECH to receive a 15% discount when you register on the event website. Need to know more? Check out the Website at InVest.Events or contact Maria DeMartino at Maria.DeMartino@sourcemedia.com or +1 212-803-8775. 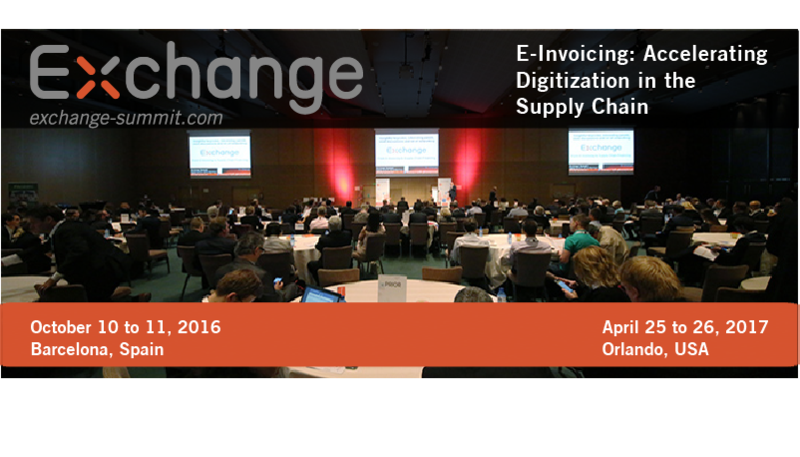 Special Offer: Register now with code "FINSW16" to get 10% discount! The A&RF Forum showcases the latest SME finance & working capital management tools from traditional lenders & alternative platforms. 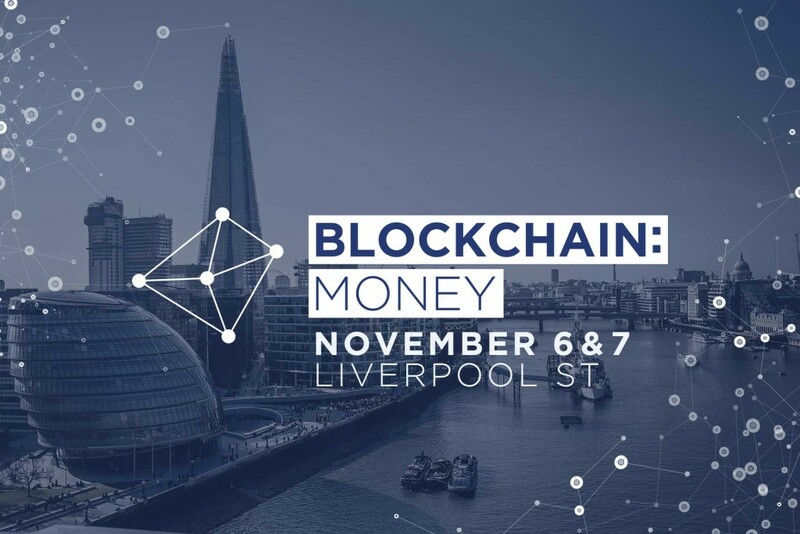 Find out how technology is democratising access to finance, with expert speakers from: Platform Black, British Business Bank, iwoca, Atom Bank, Funding XChange, British Bankers Association, Gapcap, Funding Circle, Shawbrook Bank. Ein «Muss» für alle Praktiker, die wissen wollen, wie sich die verschiedenen Wettbewerber im Schweizer Retail Banking entwickelt haben und welche Lösungsansätze im schwierigen Marktumfeld aktuell diskutiert werden. Es werden einerseits die Ergebnisse der IFZ Retail Banking Studie vorgestellt. Andererseits nehmen verschiedene Persönlichkeiten aus der Finanzindustrie Stellung zu relevanten Entwicklungen im Retail Banking und zeigen auf welche Lösungsansätze im schwierigen Marktumfeld aktuell diskutiert werden. Führungskräfte und Entscheidungsträger/innen von Schweizer Banken und weiteren im Retail Banking tätigen Instituten. Alle am Retail Banking interessierte Personen, welche sich eine interessante, spannende sowie konstruktive Analyse und Debatte von Top-Referenten nicht entgehen lassen wollen. Ebenfalls sind Mandats- und Entscheidungsträger/innen in der Exekutive, Legislative und der Verwaltung auf Gemeinde-, Kantons- oder Bundesebene herzlich eingeladen. ARE YOU READY TO DISRUPT THE INSURANCE INDUSTRY IN JUST 24 HOURS? Don’t miss this opportunity to join the EPAM Blockchain Hackathon in Switzerland to compete in developing blockchain solutions to solve real problems in the market. 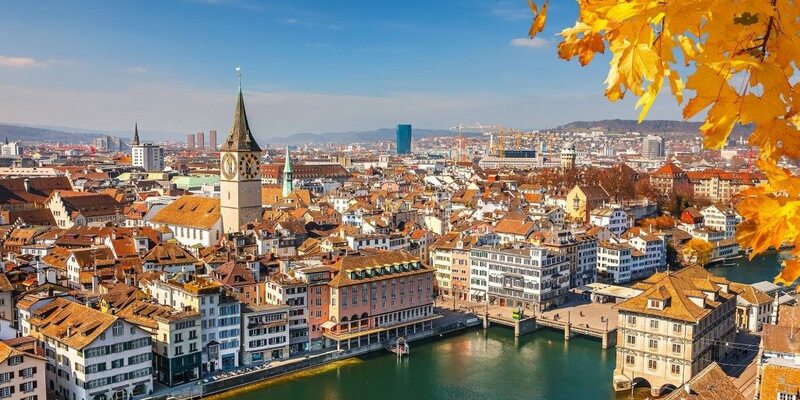 The Private Wealth Switzerland Forum is a one-day, investor-only meeting focused on fund selection, portfolio management and investment opportunity identification. Join us on November 21st in Zurich for this closed-door meeting designed to be the most effective networking and strategy exchange platform available to IFAs, private banks and family offices from across the region. · How Can Technology Increase Profits and Enhance your Wealth Management Experience? Click here to request the agenda! EXECUTIVE SUMMARY ZUR JAHRESTAGUNG. ALLE INHALTE UND HIGHLIGHTS AUF EINEN BLICK. 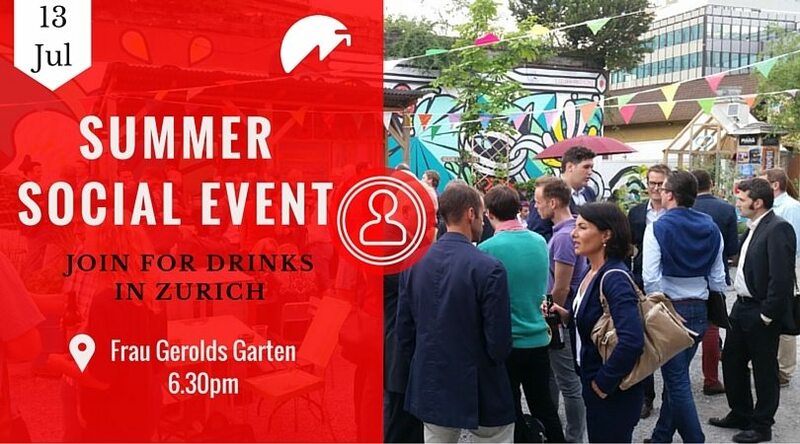 Join our next nexussquared ‘DrinkUp' and meet Swiss and international blockchain aficionados in a casual environment. The 10th edition of our ‘DrinkUp’ will take place on Thursday, November 24, 2016 from 7:00 p.m. onwards. The location in Zurich will be communicated in due course to the registered parties. It is our great pleasure to have another timely topic for the event following the issues surrounding ‘The DAO’ this summer and the increasing interest in smart contracts from a corporate’s perspective - the presentations from Nina-Luisa Siedler and Biba Homsy (bios below) will elaborate on “Blockchain & Smart Contracts from a Legal Perspective“. The Future of Retail Banking is back and is bigger and better than before. With a brand new day focused on Customer Engagement in Banking and a stellar speaker line-up confirmed, the event will provide the perfect platform to learn from those driving change across the industry. It’s no secret that innovation is absolutely crucial to remain competitive in the banking landscape. Our two day Retail Banking Summit will give you the knowledge you need to succeed, with hot topics on the agenda including artificial intelligence, open banking and app-only banking. Our new third day, Customer Engagement Banking, will explore a wide array of business-critical topics ranging from personalisation and value-adding services to brand evangelists and encouraging customers to care about banking. Eine Anmeldung für die Veranstaltung ist nicht notwendig. Der Stiftungsrat freut sich auf Ihre Teilnahme. 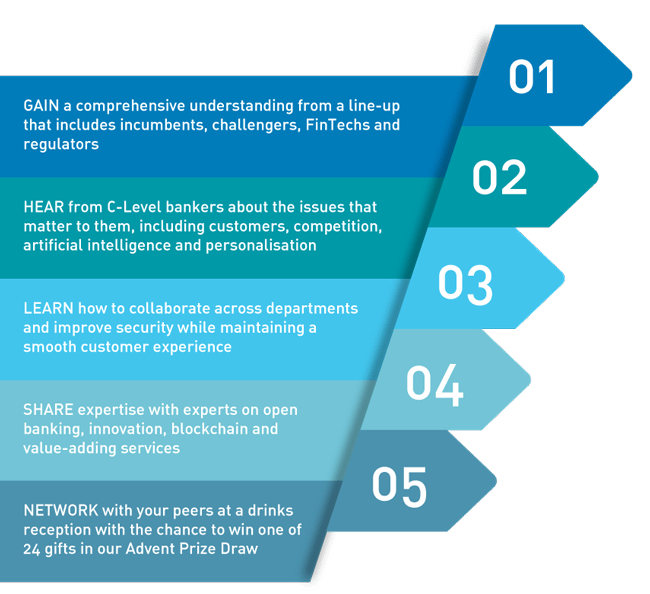 FinTech Connect Live, Europe’s most exciting, full eco-system Fintech event, is back – bigger, better and busier than ever, once again putting London at the centre of the Fintech map. With 150+ exhibitors, 2500+ attendees, 50%+ start-ups, scale ups and industry giants all coming together in one place to help you learn, network and fully immerse yourselves in the energy created by the most exciting industry. 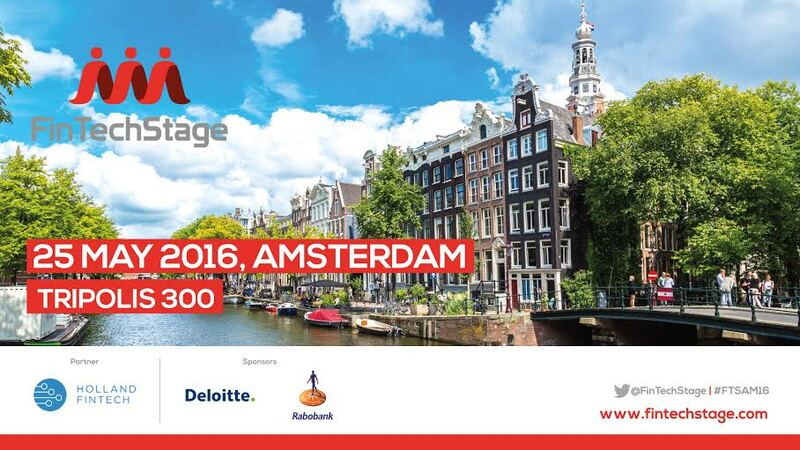 New to 2016 – PayTech Live & InsurTech Live conferences! 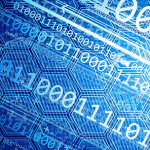 Get to know what IBM is currently working on. IBM joins Linux Foundation to help advance blockchain. Watson is working with businesses, scientists, researchers, and governments to outthink our biggest challenges. Our belief is that through the dialogue and community education the Swiss Finance + Technology Association can play an important role in directing FinTechs on their business route as well as demonstrating channels to cooperate with financial system players. In the framework of this series algorithmic trading platforms will offer you access to the global community of traders, whereas "smartphone" banks functionalities will be put to test. We will debate artificial intelligence making a way into commodities trading as well as our findings on valuation of FinTech companies. We kick off the series with the conversation about the future of investing on Dec 14th with a few innovators among established financial players and FinTech. FinTech lunch #10 - "Building a business on Cyberrisk"
FinTech lunches bring together Swiss Finance + Technology Association members and the interested public for networking but also to provide a forum for discussion of a dedicated topic. The topic this time is "Building a business on Cyberrisk" for which we have secured exciting speakers: Matthias Bossardt from KPMG and Maya Bundt from Swiss Re. Matthias leads KPMG's cyber security and IT risk consulting practice. In this role he helps Financial and other institutions advancing their digital transformation while protecting their clients and assets from the risks in an increasingly connected world. Matthias is a Partner at KPMG with a background as a researcher and engineer in software and hardware design. Maya is Head Cyber and Digital Strategy at Swiss Re Reinsurance and responsible for further developing and implementing the Reinsurance cyber risk strategy and for driving digital innovation and initiatives. Before joining Swiss Re in 2003 Maya worked as a strategy consultant for BCG and obtained a PhD in environmental sciences. CFA Switzerland brings a flurry of CFA related activity to Lugano just before Xmas! Members who are interested in Ascom and what three USI student teams competing in the CFA Research Challenge’s Octofinals are making of it, are welcome to join the audience for this intense competition. This will be followed by an inspiring CE presentation on Fintech and its impact on asset management, which will provide ample conversation starters (as if needed) for the Season’s drinks, courtesy of Morningstar. Thanks to our sponsor, this event is extraordinarily conducted free-of-charge. CFA Society Switzerland, Swiss Finance + Technology Association and Università della Svizzera italiana are joining their networks for this great end-of-year occasion.